Lone Tree is located right against the northern Douglas County line. 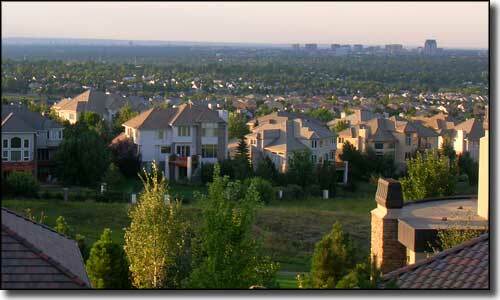 This was previously a ranching and farming area but when developers arrived and started doing their thing, residents decided they needed to exercise more control over local developments than Douglas County was doing. 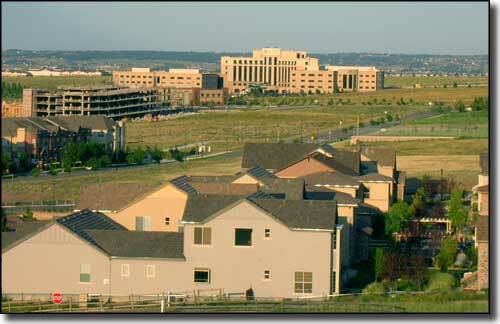 The City of Lone Tree started as the Park Meadows Metropolitan District (the Lone Tree subdivision, some surrounding developments and some commercial development along the C-470) and grew quickly to encompass present and planned developments reaching from the original townsite all the way to Park Meadows Mall at the junction of County Line Road and I-25. RTD is presently extending the light rail line south from Lincoln Station with future planned stops at Park Meadows Mall, Sky Ridge Medical Center, the future City Center in the RidgeGate community and ending at a station east of the I-25 near the southern end of Lone Tree. 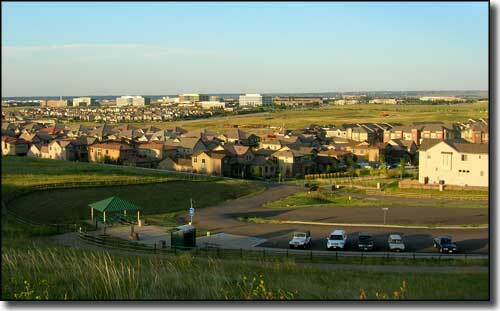 As Lone Tree is right at the southern edge of the Denver Metroplex, there are lots of places where folks can access hiking, mountain biking and horseback riding trails on the publicly-owned green spaces along the bluffs to the south. Some of the photos on this page were taken while hiking in one of those areas.